In order to start preparing and submitting VAT returns in Xero, you must first ensure that you have told Xero which VAT scheme you are using. In order to select the correct scheme, go to Settings>General Settings>Financial Settings. 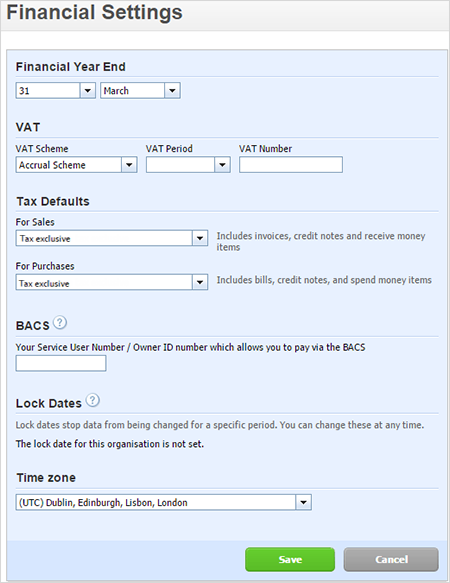 you can choose ‘accrual’ or ‘cash’ for either standard VAT reporting or flat rate VAT reporting. Once the correct scheme is selected, Xero will know which VAT return to include your transactions in and at what rate. The accrual scheme requires you to complete a VAT return which includes all transactions based on the date they were invoiced, regardless of whether they have been paid. For example, if you have a March quarter end and a sale is invoiced in March, but the cash not received until April, you must include it in your March VAT return.  For businesses with turnover of less than £1.35million, you have the option of using the cash accounting scheme for VAT. With this scheme, you compete your VAT return including only transactions which have actually been paid. Therefore, in the example above, you would not include the sale in your VAT return until the June VAT return (assuming you submit returns quarterly). This can have a cashflow advantage, as you are not paying the VAT until you have received the money. To join the flat rate scheme your turnover must be £150,000 or less (excluding VAT), and you must apply to HMRC. With this scheme you pay HMRC a lower, fixed rate of VAT, based on your sales, and do not claim back VAT on your individual purchases. The rate you pay depends on your business activity and is a rate you agree with HMRC.